We have a great pleasure to announce that Biprogeo Projekt Sp. 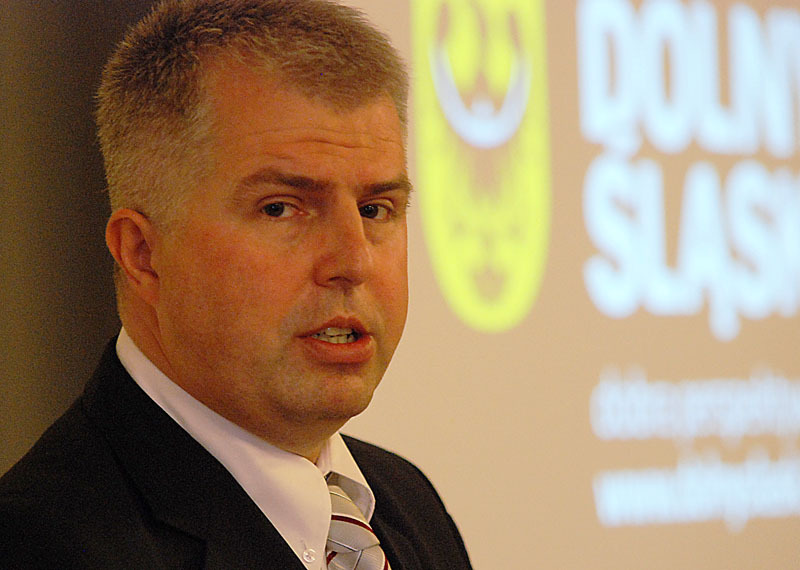 z o. o. received from the Voivod of Lower Silesia a letter of congratulations in recognition of the company’s achievements. 02.03.2010 - Biprogeo Projekt awarded with the title "Gazela Biznesu 2009"
The ceremony of awarding certificates and awards in the tenth edition of the ranking for the most dynamic small and medium-sized businesses "Gazele Biznesu 2009” was held on 02.03.2010, in Sofitel hotel in Wrocław. Biprogeo - Projekt Company been awarded this prize for the second time, which confirms our presence among the fastest growing companies. 04.12.2009 - Biprogeo Projekt receives the Certificate of "Przedsiębiorstwo Fair Play 2009" (Fair Play Company). On December 4th, 2009, at the Congress Hall of the Palace of Culture and Science in Warsaw, a ceremony of granting awards on the occasion of the XIIth edition of "Przedsiębiorstwo Fair Play" program was held. 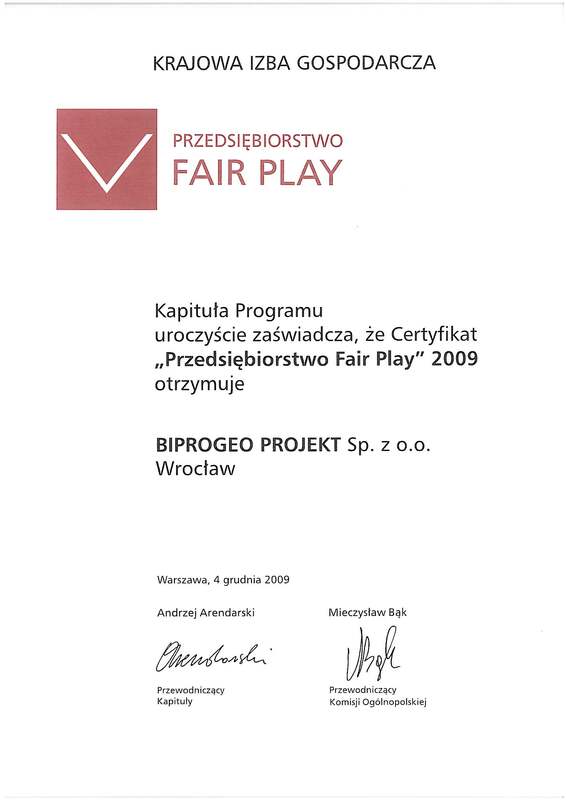 Biprogeo-Projekt company has received the Certificate of "Przedsiębiorstwo Fair Play" for the second time. Receipt of the Certificate is an honorary distinction and recognition for our activities. Today we signed a new contract of design project of Zwycięska Street in Wroclaw. I Wrocław Metropolitan Forum took place at 25th of June 2009. In the course of discussion Biprogeo-Projekt presented design projects of road infrastructure.